Great job, Steve. 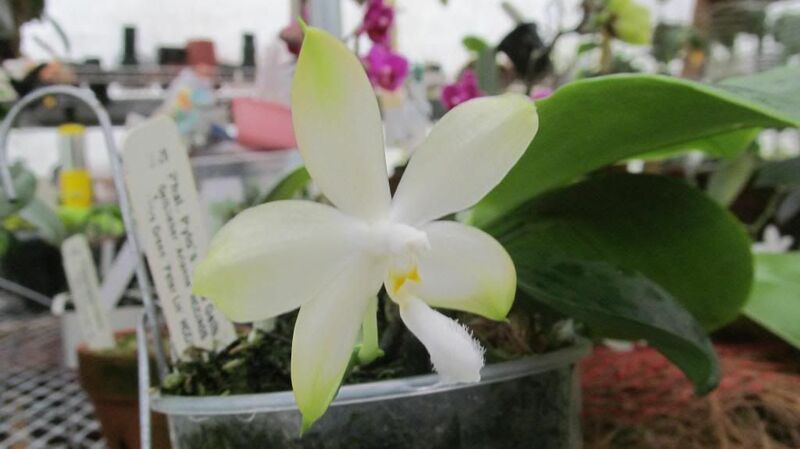 With species Phal tetraspis and micholitzii in the background, this hybrid is easy to grow and produces many flowers. OOO!!! I really like this cross!!! Lovely cross. Thanks for posting. first bloom for this plant. Just flowering this one. It has nice yellow-green color - but better form than its pollen parent.